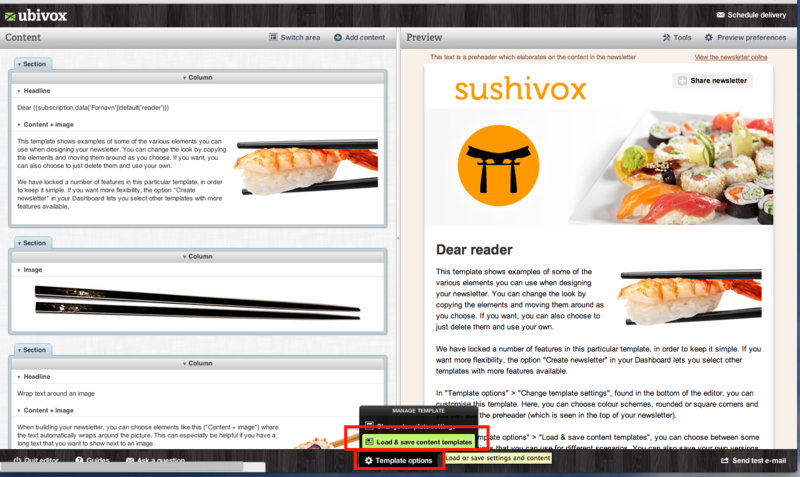 In Ubivox you have the possibility of creating your own template. You can use it continuously, for example as part of a course campaign. The first thing you have to do is decide wish template you wish to create it in, i.e. the default template or the designed default template. 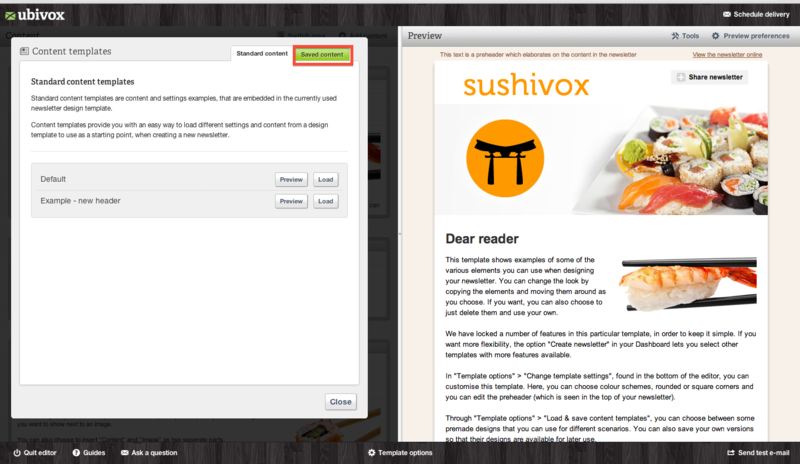 1) Edit your template with the design you wish to use. 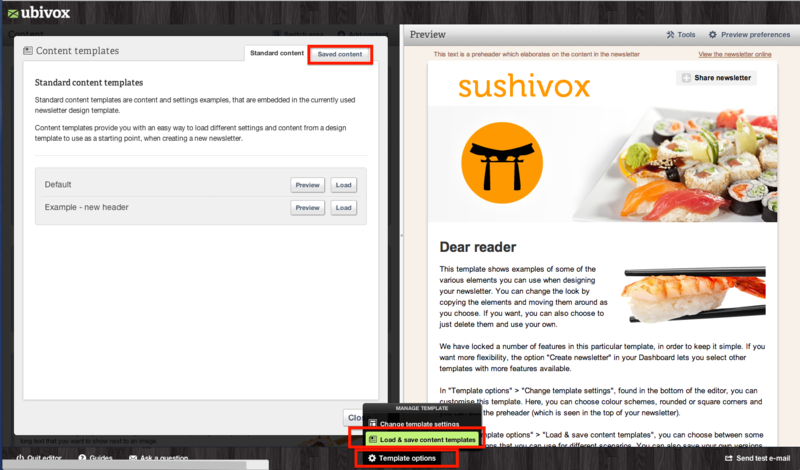 When you are done, in the bottom middle of your screen, select Template options --> Load and save content templates. 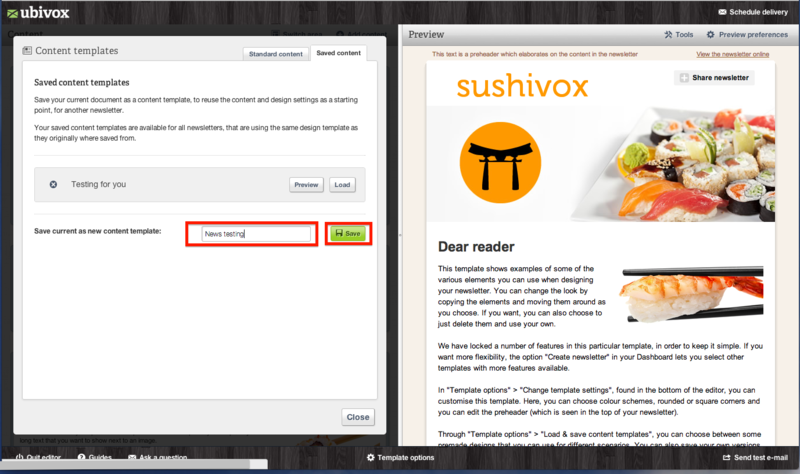 2) Select Saved content and name the template and press Save. Close the window. 3) Now you have to quit the editor. 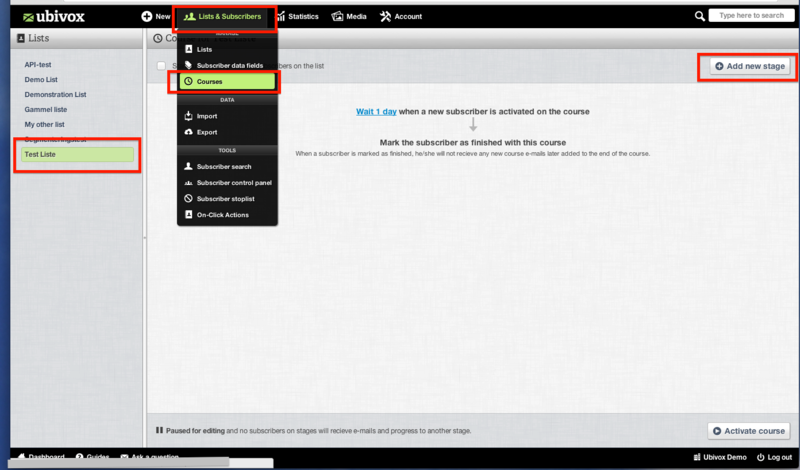 Go to the Dashboard and press List and Subscribers and select Courses. 5) The stage has now been created. Click at Edit content. 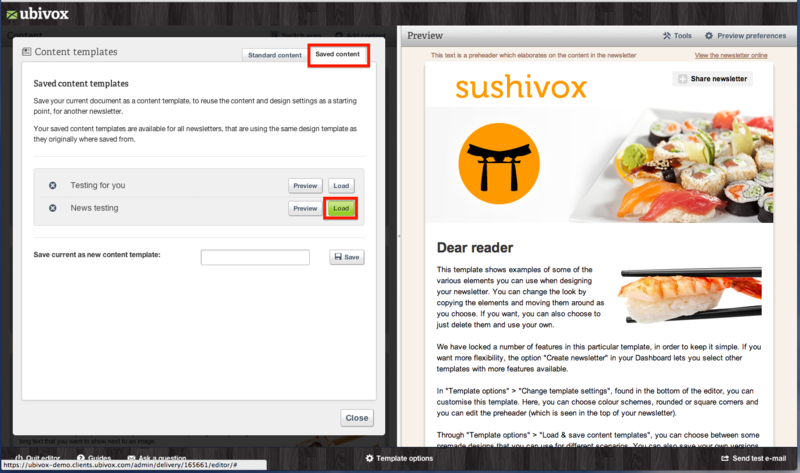 The editor will now be opened and in it, you have to load the template you made earlier. You can find it under Template options. 6) Load the saved template. 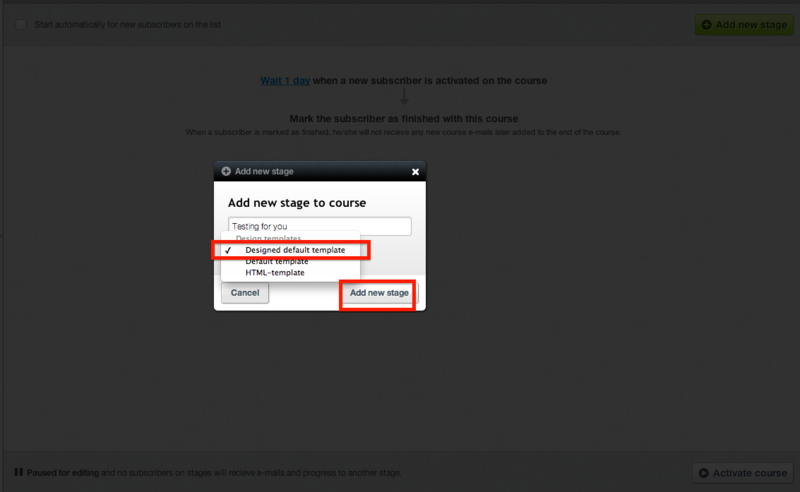 Do you wish to edit a saved course template? 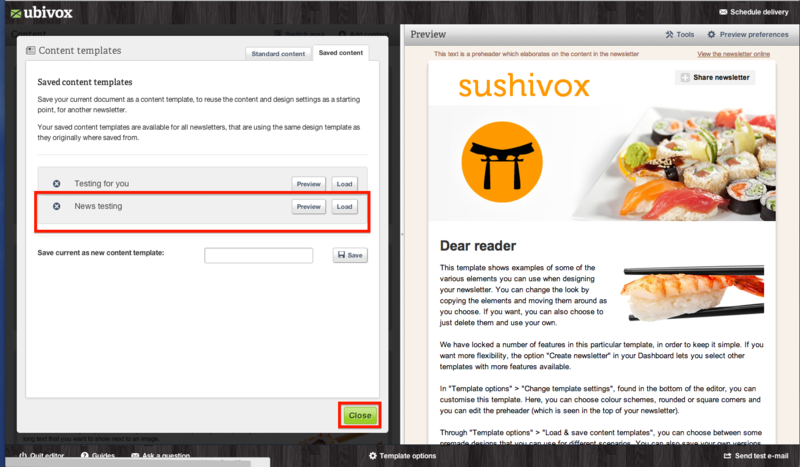 If you wish to change something in the saved template, you have to open it in the editor. When you are done, you can overwrite the former template by giving it the same name. 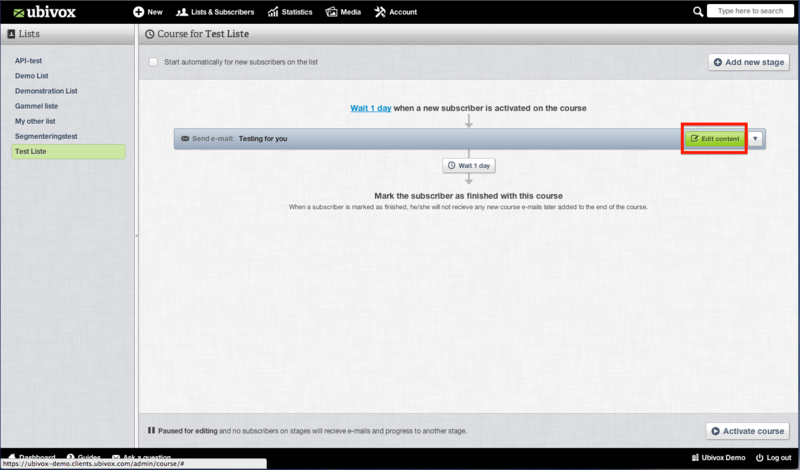 When this have been done, you have to open Courses and load the template again.